Rumor: A man in China has sued his wife for bearing him ugly children. Claim: A man in China has sued his wife for bearing him ugly children. 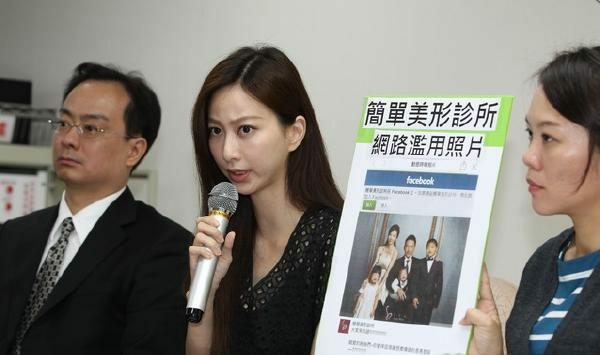 A Chinese man has divorced and sued his wife for £55,000 after discovering she’d had plastic surgery before they met. Jian Feng, 38, was said to have been “horrified” when she gave birth to an ugly baby daughter. He suspected her of having an affair. The Heilongjiang Morning Post said Jian successfully sued for deceit. Clearly this photograph could have nothing to do with the story to which later became attached, as in that narrative the Fengs supposedly divorced after the birth of their first child, a daughter, but this family portrait includes three children, the eldest of which is a boy. What do you think of this picture? A handsome father and pretty mother surrounded by three children who very much resemble each other all smiling in front of the camera — it looks like a happy picture of the perfect family, doesn’t it? But wait, is there something about this family that doesn’t quite look right? The Heilongjiang Morning Post apologised for publishing a false story without verifying the facts. The newspaper published the story “Man’s online date is daughter-in-law,” saying that a 57-year-old man in Muleng, Heilongjiang province, asked his online girlfriend out for a date only to find out that she was his own daughter-in-law. The story became a web hit after it was published. The newspaper published an apology, saying that the police of Muleng had confirmed that the story was false and was fabricated by Wei Hongji, a reporter with Muleng Television. The newspaper said it had asked Wei to help provide photos but did not verify the facts any further. We’d guess that someone originally created this tale as a moral lesson on the follies of excessive vanity, and in typical urban legend fashion it quickly made the transition from being an instructive fable to a “this really happened” news story.